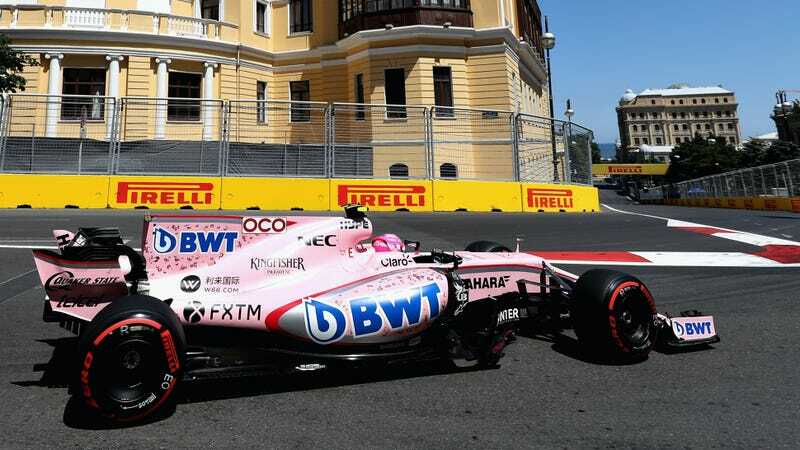 The Force India Formula One team may be rebranding itself as Force One, reports Autosport. This is probably wise, given that India has charged Force India’s team owner Vijay Mallya with $1.4 billion in fraud over money they allege hasn’t been paid back to state-run banks from his Kingfisher Airlines venture. Mallya has been staying out of India ever since, which he claims has nothing to do with the charges of fraud and conspiracy related to his Kingfisher Airlines debt. Meanwhile, authorities are looking into ways to extradite Mallya to India so he has to face those charges. Documents reveal that on May 31 and June 6 new limited companies were registered in the UK under the names Force One Grand Prix, Force One Racing, Force One Team, Force One Technologies, Force One Hospitality and Force One Brand. The only director listed is Dr Thiruvannamalai Laskshimi Kanthan, an accountant and financial consultant and long time associate of Dr Vijay Mallya. He is also a director of Force India and three other companies connected with it. While the team itself—which has formerly been known as Spyker, Midland and Jordan—would still need approval to change its name as well as its chassis name, these registrations are a way of claiming Force India’s new preferred name before that approval comes. The “Force” part of its name is there for the long run, however, as one of the team’s former names was Formula One Race Car Engineering (FORCE) in 1985 and 1986. Force India wants a less country-specific name as it’s proven hard to find sponsorship opportunities for the team in India itself, Autosport notes. Only a couple Indian sponsors outside of Mallya’s Kingfisher beer brand have come through, and the loss of the Indian Grand Prix in 2013 also made many firms lose interest in an F1 sponsorship. Of course, it can also be hard to attract sponsors within a given country when your team owner won’t step within that country’s borders.